Re-examination of the genera Diatoma and Odontidium led Jüttner et al. (2015) to recommend the use of the name Odontidium at the generic level for taxa treated from that sub-genus of Diatoma. Refer to Jüttner et al. for an account, including a neotype designation for O. hyemale and commentary on the nomenclatural priority of Odontidium. 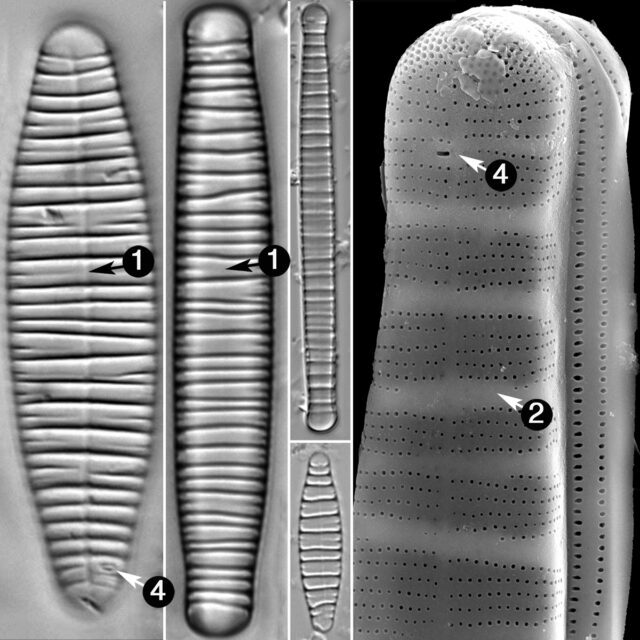 This taxon appeared as Diatoma, including Odontidium and Diatoma as subgenera, in the Diatoms of the US flora from May 2010 through September 2017. As of September 2017, the genus circumscribes the more narrow concept of Diatoma. A new page for Odontidium was created at this time.